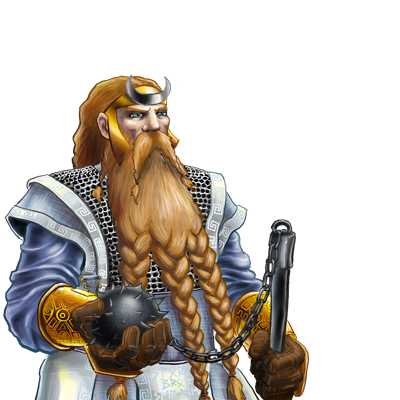 Dwarvish Annalists are the historians of this ancient and proud race. They are few in number, and their very existence is not generally known to the other peoples of the Great Continent. To the abilities of the Witness they add, through the study of herb and mineral lore, the ability to cure poison. Special Notes: This unit is able to slow its enemies, halving their movement speed and attack damage until they end a turn. This unit is capable of neutralizing the effects of poison in units around it. This unit has magical attacks, which always have a high chance of hitting an opponent.